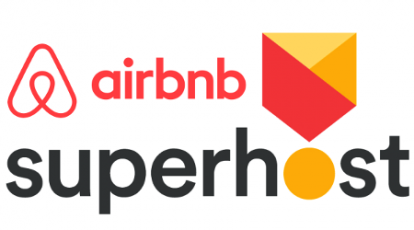 Click here to learn what Airbnb Superhost is! This place has everything you need it has an amazing view overlooking Kissimos and the sea. We loved the excellent dinner that they cooked after a flight and it was perfect. There were 7 adults and it fit us all very comfortably we all had room to be alone if we wanted and together with all the group in the comfortable living room or the outdoor patios and pool area. The robes and slippers were a nice touch that we enjoyed during the stay. Additionally Michalis went above and beyond to help us when we needed help at the airport when one member of our group left his passport at the house. He contacted the rental car company for an easier drop off and also talked with the airline to “hold the Plane”. Michalis was an excellent host and so was his mother who cooked the dinner and met us at the house with excellent recommendations. Overall an excellent experience! La maison est magnifique et très bien équipée . L extérieur est réussi avec un coin bar pour 7/8 la piscine , des canapés à l ombre. Rien à redire. Une gentille attention nous attendait avec un plat maison délicieux. Je recommande sans hésitation. Beaucoup de très belles plages à proximité. We had a wonderful relaxing stay, the pool and house were outstanding with magnificent views. Great place to stay as a couple with your family or friends. Michalis was great at keeping in touch about arrival and departure. We never needed anything during our stay as everything was provided and easy to use. But I’m sure he would have responded quickly if we needed anything. We would highly recommend the house and hope to come back! כל מה שצריכים כדי לשהות ולהתפנק. הגענו 3 מבוגרים ו6 ילדים. המיקום נפלא, נוף מדהים, בריכה מפנקת – יומיים לא עזבנו את הוילה! ובעיקר היחס והשירות של בעלי הוילה. The villa is very well equipped and aesthetic. Everything you need to stay and be pampered. We werre 3 adults and 6 children. The location is wonderful, the view is amazing, the pool is luxurious – we did not leave the villa for two days! And especially the attitude and service of the owners of the villa. We had a wonderful time at Villa Veghera. The pool is fantastic and the kitchen is perfectly equipped. The villa is furnished with a lot of attention to details. The surroundings are stunning and it’s close to some of the nicest beaches in Crete. A special thank you to the hosts who welcomed us with amazing Cretan food. Villa Veghera, nestled in a hillside of olive groves, was an amazing house and location for our group of 6. The private pool was the perfect relaxation spot for us and the views from the house are great, looking down over the coastline. Kissamos is an excellent little town with outstanding food. The location of the house was perfect, as Balos Lagoon was only a short drive away – we cannot recommend Balos enough, it is one the most amazing beaches any of us have ever been to. The owners were incredibly friendly and helpful, helping us settle in and providing a list of recommendations that were all spot-on. The house had everything we needed for 5 days – including a barbecue, pool, security gate and private setting. I would highly recommend staying at Villa Veghera when you stay in Crete. Just spent 1 week in Villa Veghera which is a great villa ! Everything you need is on hand and it’s quiet location gives you perfect peace , yet only a short distance from the shops, town and beaches. The villa was everything we had hoped for. Given the villa is on the hilltop of Kissamos the views on the sea and mountains were stunning and the facilities great. Kissamos is a small town with many locals, many shops, beaches and restaurants. We were met on arrival by Mr Michalis and his wife Popy and they showed us everything we needed and gave us some great tips on the area and things to do. A superb couple who went over all the instructions for the Alarm and the equipment in the house they are both so friendly and efficient and that got the holiday off to a great start ! It is a lovely villa, really very very comfortable, it has a great kitchen and pool, everything is in great order & cleaned during stay The space, high quality furniture and equipment is wonderful. Nice barbecue /grill near the pool. We can’t praise the place high enough, it was definitely one of the best villas we have rented so far and very sure we will return. It’s location is only 1 hour from Chania airport and very easy to find, You may rent a car At Kissamos Rent a Car and they are great to deal with, no hassle or added insurances. The villa is very spacious, there is plenty of room and it is divided into 2 levels with separate kitchen, living room, sleeping rooms and bathrooms. Different patio ! So it is very convenient for 2 family who enjoy the holiday together but also like to keep some privacy. You will never feel as you were on top of each other. Lovely lunches on the patio and always a sunbed available. 1 week of sun and relaxation. We will return some day soon, it’s perfect ! Thank you Popy and Mr Michalis !! The view is amazing and the service is even better!! I would highly recommend this place! Michalis’s helpfulness during your stay is more than worth the booking alone. Add in the views, the place, and the location and it is a great value. I know the next time I am in Crete I am looking at this place first! Really lovely villa in a great location. The views over the bay in the morning and relaxing by the pool were perfect. The table tennis table was great fun with the children and the villa was in a superb location for Kissamos and Falasarna. Michalis and his family were great hosts with the villa superbly clean and a extra touches to make the stay relaxing and enjoyable. Villa Veghera is in a fabulous location with wonderful views over Kissamos bay. The villa is a high standard and has all the facilities to make your stay comfortable and enjoyable. Kissamos town has a very relaxed and friendly atmosphere with lovely taverns and shops. Stupenda Villa. Ottimamente arredata e attrezzata. Piscina e vista la rendono un’ottima soluzione. Villa spettacolare con vista mozzafiato, ampi spazi dotata di tutti i confort, in particolare cucina super attrezzata e per finire giardino con piscina e relativi giochi d’acqua. Per quanto riguarda il proprietario di casa persona squisita cordiale e iper efficiente Ci tornerei subito. We could not have been happier with the villa, the location, the view and the hospitality that Michalis and his mother showed us throughout our stay. Amazing. We spent an amazing week at Villa Veghera and only wish we could have stayed longer. Popi and Michalis were charming, friendly and generous hosts, who welcomed us with a delicious home cooked meal and fresh produce from their garden! The Villa itself is just as advertised and very well appointed. We immediately felt at home and if it weren’t for the beckoning blue waters of the local beaches, we could have spent the entire week poolside. Everything was comfortable, clean and in good working order. We recommend Villa Veghera without reservation and look forward to returning one day. The local community of Kissamos is delightful and the people are very friendly. Michalis’ visitor’s guide proved indispensable and we highly recommend it for planning daily excursions. Thank you Popi and Michalis for a truly unforgettable experience! Great place. Great people. A spacious villa within a 20 minute walk from the Kissamos sea and a 15 minute drive away from the Fallasarna beach. The communication with Michalis and his mom is quick, thourough and super friendly. We got welcomed with a big plate of Cretan food and that set the tone for a great stay at Villa Veghera. For a group of people that want to explore this side of Crete: this is the place to stay. Very nice welcome with authentic Creten food prepared to us. The house has really all what you would need for a perfect stay. Location is optimal for covering west Crete amazing places and still be isolated from mass tourism. Fantastic view from the site on the sea and the mountains. We loved the great pool and staying in the garden. Comfort at highest level. One of the highlights of our Greek roundtrip journey. בילינו שבוע בוילה וגהרה, 10 נפשות כולל 3ילדים. הוילה נקיה מאוד ויפה, מאובזרת עם כל מה שצריך. חיכתה לנו קבלת פנים מקסימה בצורת מגש מלא ממולאים טריים וטעימים ביותר. הבריכה גדולה והחצר מרווחת עם מיטות שיזוף וצל. הנוף מדהים, בקיצור היה מושלם. הוילה במרחק דקות נסיעה ממרכז קיסמוס. מאוד ממליצה למשפחות. We loved the friendly people, and the hospitality of the owners. The villa was prepared nicely for our 10 months old baby (high chair, baby bath and baby cot) at no additional charge. The location was perfect to visit Elafonisi, Balos and Falasarna Beaches (with a rental car). At arrival (late in the evening) the owner waited for us to check us in with a delicious surprise, thank you. Great villa. Spacious, good layout and amazing views + huge pool the children loved! Perched on the mountain side, lovely and quiet with locals nearby. Town unspoilt – no huge hotels to ruin the area. We will definitely go back to Villa Veghera. Lastly, Mike and his mum Popi were so incredibly helpful! Villa Veguera is a beautiful house 1’5km away from Kissamos center. It has big rooms with ensuite bathrooms, all the spaces are clean and comfortable and the whole house has stunning views. The space outside, with the pool and the barbecue is perfect to relax after a day of tourism. Michalis and his mother were really kind and helpful, it was a pleasure to know them. We would definitely come back again. Went with a group of 8 and this place was amazing. The pictures do not even do it justice. It is in a perfect location (not too far from beautiful beaches and gorges). If I ever come back to Crete, I will definitely try to stay here again. Michalis, his mother and Villa Veghara are wonderful. They made our holiday perfect. From the guide we were sent by Michalis after we’d booked so we could plan things to do while in Crete and the wonderful meal cooked for our arrival to helping to plan a surprise birthday evening for one of the party complete with cake, dinner and bar reservations. Nothing was too much trouble. The villa is beautiful, well looked after with a fabulous pool, wonderful views and everything you could possibly need in a home away from home. Our holiday was fantastic, thank you so much! Villa Veghera is a luxury home away from home! The location is excellent for exploring West Crete. Villa Veghera was excellent, loved the pool area and the whole house in quiet rural environment. Kitchen is fully equipped to any need and the Kissamos Villagessa restaurants are within short walking distance also when you prefer a ready delicious meal. Loved also the welcome lunch prepared by the hosts. It’s an amazing place. Very well kept and very comfortable. Thanks! We had (family of 5 adults) great time at villa Veghera. All equipment are at “the top”. Thank you to Popi (Michalis’ mother) for her so kindnest welcoming. Michalis prepared a very useful guide of places to visit. Popi prepared a really good meal. The perfect family house – Plenty of room, loads of mod cons and amazing outside spaces. Schönes großes Ferienhaus für Familien Top! Das 2015 erbaute Haus liegt oberhalb von Kissamos an der staubigen Straße mit tollen Blick aufs Meer und die kleine Stadt. Die Anlage ist schön und für griechische Verhältnisse gepflegt. Das heißt: Es ist alles für den täglichen Bedarf an selbstverpflegung vorhanden, es ist sauber ( 2 mal pro Woche wird gereinigt) und die Besitzer sind sehr freundlich und bemüht. Ein paar Kleinigkeiten nerven allerdings, so ist keiner der WC Sitze halbwegs ordentlich befestigt daher rutscht man hin und her und einige Zimmertüren schließen nicht, das bedeutet sie stehen ständig auf. Aber wie gesagt Kleinigkeiten die für uns statt ein sehr gut nur gut in der Gesamtnote ergeben. We had a really great stay at your villa with our whole family. We made some great memories, and will always remember the welcoming and the heartwarming people from Crete. Our stay was more than outstanding in your good house. From the arriving until we depart, from the first minute we felt like that. Every wish was absolutely fulfilled. Many many thanks again for your hospitality as family members. The property is very well presented and the owners are very hospitable and kind, providing us with a home cooked traditional Cretan meal on arrival and making themselves available for anything we may have needed throughout the stay. In addition, basic provisions were left for us including tea, coffee, water, bread and fresh fruit and vegetables from the owners garden. The house is well stocked with plenty of crockery, cutlery and kitchen equipment etc. Even cleaning products such as dishwasher tablets were provided Everything was very clean on arrival with an additional clean mid week. The house is situated on a hillside about 10 minutes walk from the town of Kissamos, which has plenty of shops and tavernas/restaurants etc. The owner left us a guide to help us with local attractions and places to eat which was really useful. We had some lovely meals in the local tavernas but our favourite place to eat was at the small fishermans harbor about 3 kilometers from the house. One point to note is that if you would like to visit the beautiful beach at Balos, be prepared to a good long trek. The car park is usually full in tourist season which means you have to park way back on the roadside (very narrow in places) and then the walk to the beach (from the car park) is about 3 kilometers over very rocky, uneaven terrain – coming back up again is much worse than walking down. All in our party are fit and well but even we found it heavy going. If you have any mobility difficulties, my advice would be to take the ferry from Kissamos instead. A lovely holiday and I would not hesitate in recommending this property. Well equipped house with pool and a fantastic sea view. Close to some of the best beaches in Crete. Very prompt and hospitable family. We had a fantastic time in Villa Veghera. Michalis and his family were the best hosts you can imagine and they assisted us with any question regarding our activities in Kreta right away. We can strongly reccomend Villa Veghera. Schönes Objekt, das keine Wünsche offen lässt und perfekter Service. Sehr schönes Haus mit guter Ausstattung und ein wirklich perfekter Service durch den Vermieter. Der Blick auf Meer ist sehr schön. Die direkte Umgebung ist an anderen Stellen bestimmt schöner, aber mit 30 bis 60 min Fahrzeit kann man sehr schöne Ecken erreichen. We spent a week at Villa Veghera and it was fantastic. The villa is very well located and in perfect condition. We strongly recommend it! Mike was a great host! We were living in the villa for 5 days and it was totally not enough. The place is really comfortable and cozy. We had everything we need and even more! Beautiful home and Great Owners! We just returned from a one week vacation at Villa Veghera, and it could not have been more enjoyable. The owners made sure everything was taken care of. We arrived very late on our first day (1 AM), due to a delayed flight. However, the owners not only patiently waited for us, they also made sure the house was stocked with bottled water and provided a home cooked Greek dish, knowing that we would likely be hungry and exhausted from traveling all day, and that we wouldn’t be able to buy groceries until morning. The house is very large and beautifully decorated. It has a big outdoor area with an infinity pool and grill/bar area and countless balconies. We were a group of 8 and it never felt crammed. It is situated on a hill, a few minutes from the main stretch of town, in a somewhat secluded area (i.e. very quiet and wonderful views of the bay). And although there is an abandoned new home construction next door, the house felt very safe. It is gated, has shutters you can close, the outdoor areas are well lit (and timed) and it has a security system with surveillance cameras. The owners are very responsive and went to great lengths to make sure our stay was as comfortable as possible. House and pool cleaning is done once a week, with fresh linens and towels provided. They also left us another home cooked Greek side dish, which was a very pleasant surprise and was promptly incorporated into our dinner plans for that evening (one of our favorite things to do was to grill by the pool, after coming back from the beach – Falassarna, Balos, Elafonisi, all within driving distance). All in all, we very much enjoyed our stay and would highly recommend this rental! Thank you so much for a wonderful stay! The whole experience was above expectations! The house is absolutely stunning and perfect for a family vacation of a life time. The photos don’t do justice. And the responsiveness and little details from the owner was very nice. I cannot wait to recommend the villa to my friends. Thank you so much! We loved Villa Veghera. The house was even better in real life than the photos. The pool and the view from the balconies was my favourite part. The house was very clean inside. Great location for exploring West Crete by car. Michalis’s communication was fantastic, very hospitable. If I visit Crete, I will definitely pick his place again. 4 days in a fantastic villa! Vila was very comfortable and spotless. There was beautiful view. Owners were very polite and helpful. They were very kind to tell us about all the sights of the island and about all tourist attractions. We had a great holiday and spent amazing time. THANKS TO THE HOSTESS! Villa Veghera was absolutely perfect, the pictures shown was exactly how it was presented upon arrival. Michalis ensured that we had all the adequate information about the local area and sight seeing opportunities ready and available before our trip; he was an amazing help when in need of any questions! If that was not all, his mother was absolutely amazing; waiting for us to arrive (from a very late and delayed flight) and providing us with the best hospitality to make sure our first night was comfortable. All in all, we absolutely enjoyed everything about this place; six girls looking for an escape from London – this was the perfect place for us. Set on top a hill overlooking the rest of Kissamos it provided us with relaxing evenings by the poolside with a view. I would definitely return; first Airbnb experience – and definitely one to remember! Thank you again!!! Great villa, well equipped, has amazing beautiful views and is in a good location. Brilliant for families. My family and I loved it! Clean, beautiful, spacious, perfect getaway. Fünf Sterne sprechen für sich! We felt from the first moment in this house very well. The house, the facilities, the pool and the area we found perfect. The contact to the owner was aleays given from the booking, Top! We can only recomend the house. ממליצה בחום על שהיה בוילה וגהרה בעיירה קיסמוס בכרתים. ת כל הקשר עושה הבן שלהם שגר באתונה (דרך מיילים) ודובר אנגלית מצוינת. ממליצה בחום למשפחה או למספר זוגות חברים. What you see is what you get. The villa is just like in the photos.Very clean and very comfortable. The owners are very kind people. The villa is well equipped; fully equipped kitchen and bathrooms. The view from every room is amazing and the pool is big and clean. The owners gave us great recommendations about places to visit around. The villa is located in a very nice place called Kissamos and the villa is close to the city center. We would definitely recommend this villa especially to a family or a group of friends. Superb location above Kissamos with beautiful views not only from the terrace but also from the rooms. The villa offers you all the comfort you need and the owners are very friendly helping you in many ways (even without asking for help explicitly). The beach in Kissamos is not that special, but if you rent a car (recommended) or you take buses you can reach very nice beaches all around the region. Our experience with Michalis and Villa Veghera was awesome. We were a party of eight and the villa was more than adequate for our stay. Before we arrived our host provided us with excellent information about the area, recommended places to visit as well as very detailed instructions to arrive to the villa. The villa itself is very well equipped, clean, secure, modern and has a very nice patio for enjoying a meal and overlooking the ocean. Everything we needed for a comfortable stay was included in the villa and the manager was very insistent that we tell them if there was something else we needed which was great. The swimming pool was excellent and our kids had a blast in it. The location is close to several outstanding beaches and less than a mile to the center of a very lovely town with many shops and restaurants. With that said, I recommend you do get a rental car only for convenience not necessity. We highly recommend this villa and we would absolutely stay there again. Michalis and his family have recently renovated the house, which is very spacious, modern, well-designed interiorly and very independent. We stayed at Villa Veghera in total relax, enjoying the pool, the BBQ, and the other amenities the villa offered. Michalis and his family were there for everything we needed, including restaurant and sight seeing recommendations and the likes. The villa is up a hill with a great view of the little town of Kissamos and the sea, and – although you will need the car to move around – it is close to the city center, the supermarket and in less than twenty minutes you can reach the wonderful Falasarna and Balos beaches and in less than one hour the Elafonissi beach. Would defnitely reccommend the villa to anybody and especially to families or groups of friends!